Mr. Wonderful is an interesting graphic design studio. 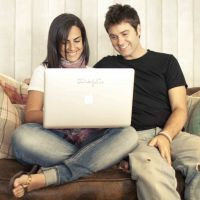 It was founded by Javi Aracil and Ángela Cabal and has an online store to cheer up the staff: www.mrwonderfulshop.es. But really Mr. Wonderful is much more than a design studio, it’s a philosophy of life. They define themselves as a project that wasn’t born ambitious and still isn’t, as a studio they don’t seek prizes or chase large clients. They want to be a family business and enjoy their work. They want to stay small but think big and they know that with hope and effort everything is possible.